This will significantly expand Square’s scale and credit processing size in the market. This will greatly increase the leverage Square will have with negotiating credit card transaction fees with the major credit card companies as well as increasing benefits to businesses on the Square platform, especially small businesses, all while reducing Starbucks credit card payment processing costs as well. 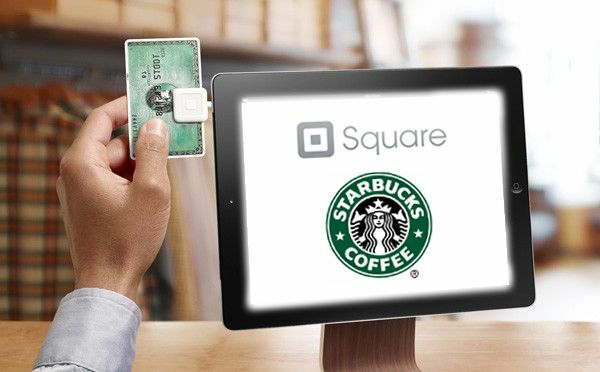 "As the largest retail mobile payment platform in the U.S., we’re excited and proud to accept payments with Square," said Howard Schultz, Starbucks chairman, president and CEO. "The evolving social and digital media platforms and highly innovative and relevant payment capabilities are causing seismic changes in consumer behavior and creating equally disruptive opportunities for business. Both Starbucks and Square take a similar approach when building products and running our businesses, and together we can bring the best possible payment experience to Starbucks customers." This isn't just big for Square but for the future of the entire mobile payment market space. Of the 27 million small businesses in the U.S., more than two-thirds do not accept credit or debit cards. This is in large part due to the high interchange fees associated with credit card payment processing, not to mention the typically cumbersome application process, credit checks, and then equipment rental fees and monthly access fees to do mobile or static location credit card transaction processing. Square enables merchants of any size – from sole proprietors to national retailers – to accept credit and debit cards. A prime example of this is the ever growing popularity of artisan food trucks, who before Square, were cash only, significantly lowering their reach to mobile customers. I am pleased and proud to announce that today Starbucks signed up for Square. Square began with a really simple idea: everyone should be able to accept credit cards. It should be easy and free to get set up, it should use simple technology people already own, and, most importantly, it should instantly adapt to any size business—from the person chasing a dream to the largest organization on the planet. By embracing Square, Starbucks has validated these ideas as powerful tools—not just for small businesses, but for smart businesses. It's amazing to think that Starbucks began as a single coffee shop in Seattle. The concept of taking a good idea and helping it grow is not foreign to them, and Starbucks doesn't just view Square as the simplest way to accept payments. They see an opportunity to extend and accelerate a model they grew up with: the idea that business is local and that community plays a vital role in job creation and economic vitality. When Starbucks builds the Square Directory into their apps and in-store Digital Network, it gives Square new visibility, driving more customers to opt-in to Square. And with nearly 7,000 Starbucks stores soon accepting Square, these new payers will be able to find your business (including coffeehouses) and pay with their name, building community and creating value. Our customers make us who we are, and we are proud of every single one of you—including our newest. Our promise to you remains the same: build simple, affordable, and fast tools that level the playing field for everyone. Thank you for helping us build Square. And please share your thoughts and tweets; I'm listening. It will be interesting to see how this will stack up in the coming fight between the Google Wallet NFC service, who is partnered with Money Network to process transactions, and the possible future for Apple's Passcard application system in the works for iOS 6. Apple was was also granted a 2008 patent Tuesday, patent application No. 12/286,361, in regards to an entire dual NFC and QR code personal shopping cart and payment system. It will be interesting to see how it might play out in the ever growing patent wars.